← Could this be the End of the HOA? This article was revised . . . I made a mistake, Russo sold 51 lots to DR Horton (10 lots were in Unit 2), so each lot is worth $33,600, per the affidavit of value for sequence number 20132140169 divide by $1,715,000.00. 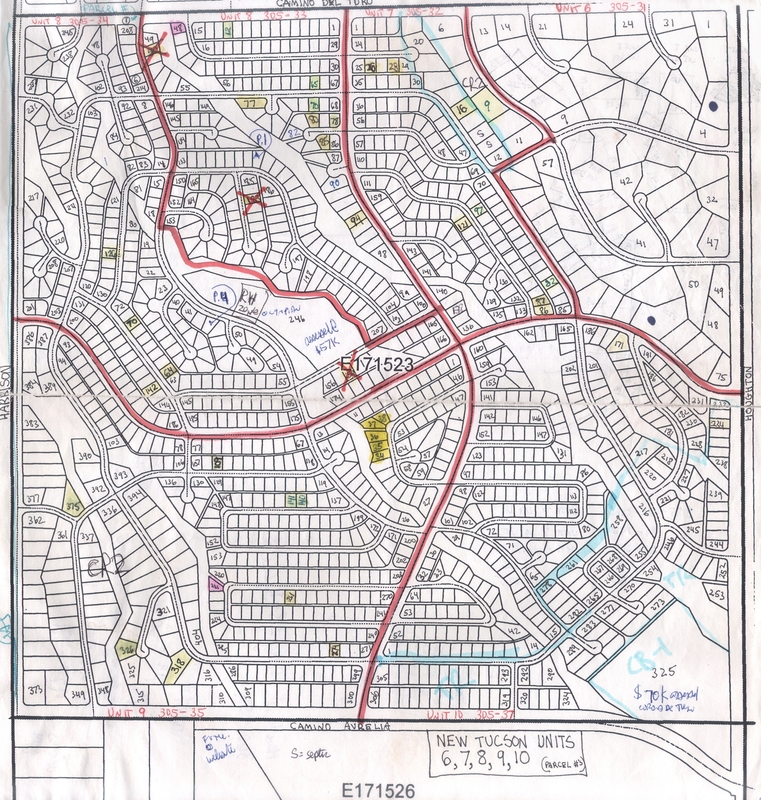 A few of the Unit 2 lots he sold for the prior majority lot owners and a shell LLC of Russo’s (PRD Investments) that got their lots through threats or intimidation to foreclose the disputed Special Assessment Assignments. Russo was supposed to help me and another lot owner in Unit 2 sell our lots too but reneged. A year or so ago I told Russo that two lots in Unit 2 were selling at a loss (they were free and clear of liens) for $15k/ea. I would have bought them myself but knew I wouldn’t be able to sell them — large builders only buy 10 or more lots at a time, small builders want you to subordinate the value so they can get a loan against the lot, which is not a good idea. Subsequent to the original Unit 5 lawsuit, I was separately served lawsuits for my lots in Units 8 and 9. In the Unit 9 lawsuit they’re asking for a jury trial . . . no doubt this is Russo’s way of bankrupting me — jury trial will add thousands of dollars in costs. Note that the judge in Unit 5 case allowed Russo’s Motion to Join, which will cost me at least $500 to serve about 20 people. (It costs $10 to mail certified, restricted, return receipt, plus photocopy and paying someone to do it.) If judge allows joinder in Unit 8, costs of serving will be many times that amount because there are at least 210 other lot/homeowners in Unit 8. My attorney says Russo’s lawyer asked him if I was paying cash or was he taking the case under contingency, my lawyer said “cash and she always pays on time.” That was before they asked for jury trial in Unit 9. Click pic to enlarge. My lots are highlighted in yellow. One of my Unit 7 lots is an acre, I think it’s worth $30k. Another Unit 7 lot is 1/2-acre worth $15k? Me homeless: I sewed (by hand) the dress and backpack. Every weekday I made a new sign and demonstrated downtown. (The twin Superior Court Judges Roylston liked me and I made many friends downtown.) One day I collected all my signs and went to the university. 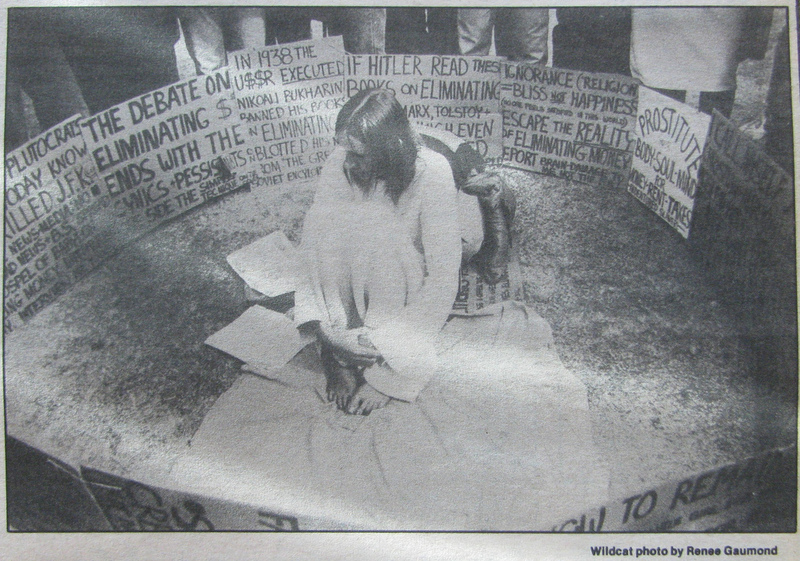 My pic was on the front-page of the Daily Wildcat, 1983. 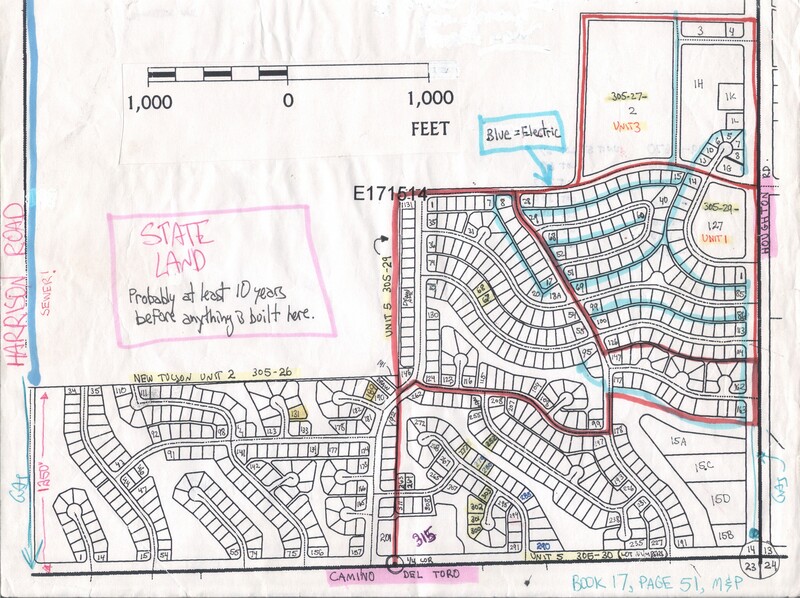 This entry was posted in Uncategorized and tagged HOA, Sycamore Vista HOA. Bookmark the permalink.